Hello Everyone! After my long online sabbatical, I’m back with a new list of treasures to hopefully bring some truth, beauty and goodness to your spring and summer seasons. As many of you know, we are a homeschooling family. 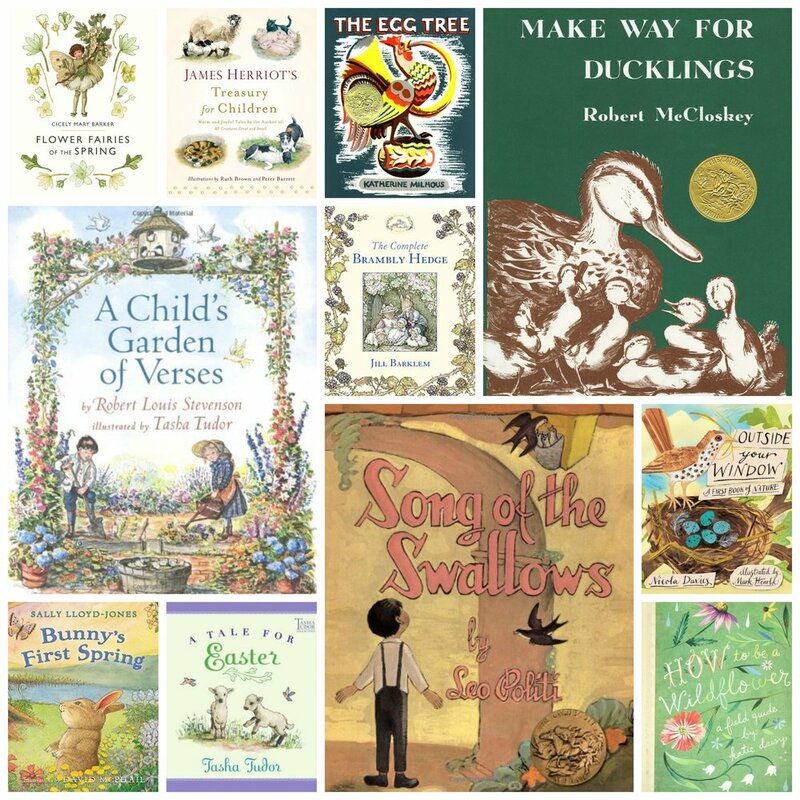 More specifically, I follow the philosophy of a turn of the century educator, Charlotte Mason, who happens to place a strong emphasis on nature study. This is why you will see that reflected in so many of my posts as those are the things I am regularly surrounded with and have experience with. I always try to bring you items I have first-hand experience with; items I have grown to love. If you shop through my links, I do get a small stipend from items purchased on Amazon only. I always try to bring you my favorites regardless if I can get credit for them or not. Fortunately, I don’t have to blog to support or supplement my family’s income— I do it solely for the joy of sharing wonderful things with you all. Enjoy! A couple of notes on the shoes below. I’ve shared both Native and Tsukihoshi shoes before. These Tsukihoshi are the Marina verions which are a summer sandal/ shoe/ water shoe. They have all the functionality of a tennis shoe, but are lightweight and do well in water and dry very quickly. PLEASE NOTE— they run HUGE. Holiday have very narrow feet, she wears about 1.5 right now. She has a 13 in the Marina and she’s got a lot of room to grow, but they’re not flopping off the back of her foot. We also LOVE the Charley sandals from Native, THEY RUN SMALL— at least a full size. I would size up a full size from whatever size your child wears in the Native Jefferson. Zappos carries a lot of the Tsukihoshi brand— be sure to look in both Toddler/Little Kids and Big Kids categories. If your size/ color combo is sold out, Nordstrom carries these as well. You can also sometimes find past season colors on Amazon. I think I’ve shared rain gear in every Easter post I’ve ever done. 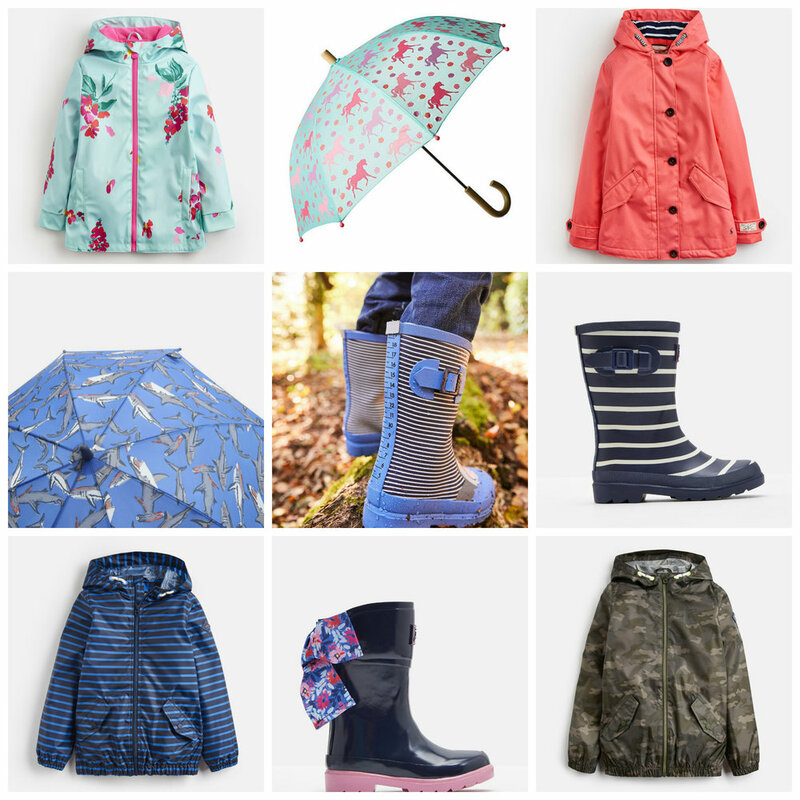 Holiday is now 8 and some of our favorite brands for rain gear don’t continue into her size. I’ve bought several pieces from Joules over the past few years. 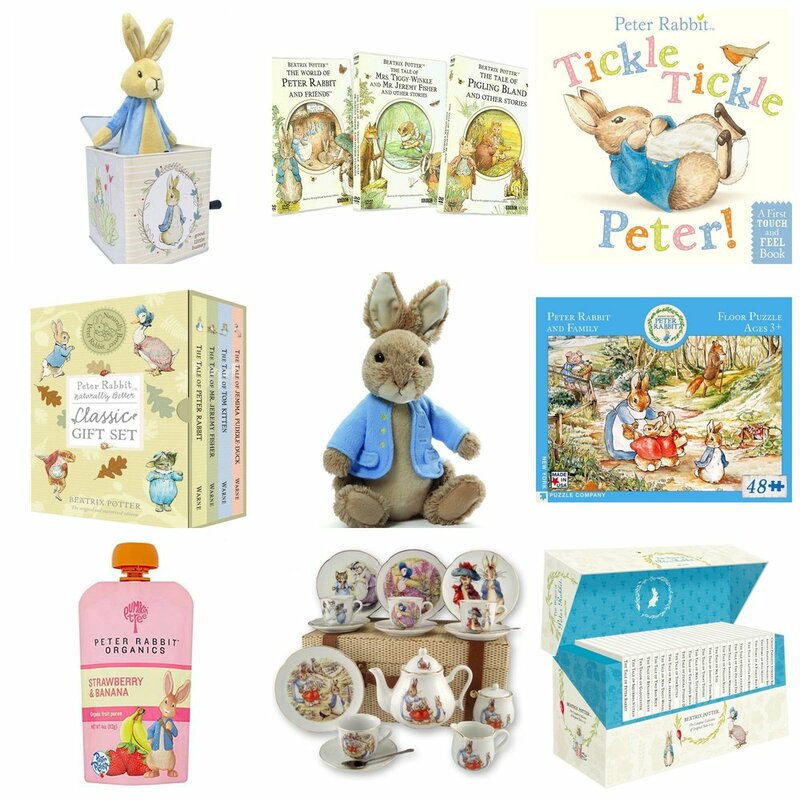 Another great brand with beautiful, high-quality goods for you and your little ones! Here are some of my faves from their current collection. For a long time, these were my favorite rain boots for kids. There seemed to be a lag where these weren’t being made or the color selections weren’t all that great. These are pretty much indestructible unless they become your dog’s favorite chew toy! I love how easy they are to get on and off— especially for your littlest ones. I also love how lightweight they are. Rain boots can be so HEAVY and these are anything but! Plus, some of the newer colors are just SOOOO beautiful!!! I know we all would probably like to minimize the amount of stuffed animals in our house, but I am such a sucker for lovely plush friends. 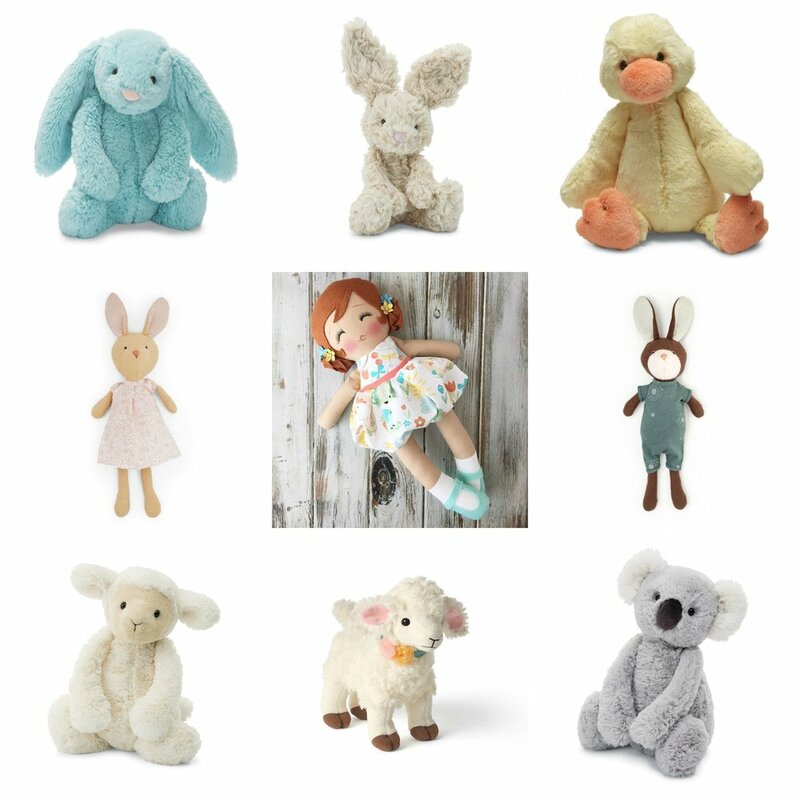 When Holiday was a toddler, our local grocery store carried a large assortment of Jellycat. It seemed that with each week’s grocery haul, a new friend would join our growing herd. I’ve also included a new favorite below (center) which is a custom, handmade doll from Spun Candy Dolls. She make each of her dolls one-of-a-kind. You need to follow her on social media to see when she releases new dolls. Beware, they go fast! However, as of time of typing this, she has several Easter dolls that are still available and ready to ship. 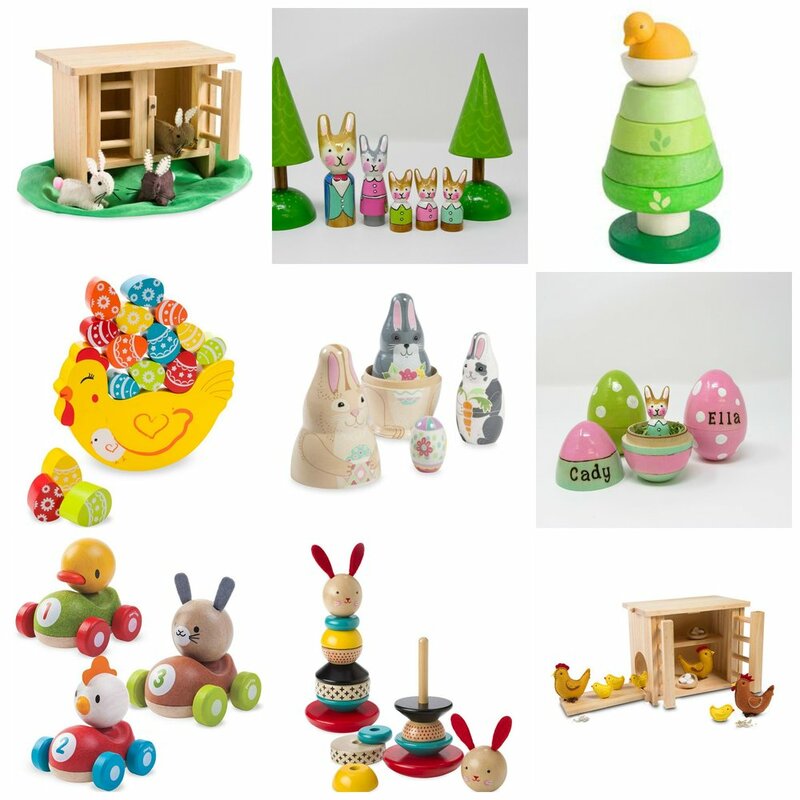 There are also several pieces here from Hazel Village, another family favorite. I just love the look and vintage/ classic feel of these beautiful stuffed animals. I recently re-decorated Holiday’s room and bought a beautiful shelf from The Land of Nod (now, Crate & Kids) which is the perfect display for all her beautiful stuffed collection. They make me seriously happy walking into her room and seeing them all displayed! Personalized Children’s Stationary from IDesignThat! Smart Games Butterflies Logic Game- one of my FAVE Smart Games!